I have collected 17 free ebooks about UX and interface design, including some best selling books which are definitely worth reading. Not only are these free ebooks pretty good reads but perhaps I’ll save a small rainforest as well. In case you’ve come across some other free ebooks, let us know. If you want to design innovative search user interfaces, you need this book close at hand at all times. Read Search User Interfaces. A style guide for the interface with real long-run value, showing us deep principles of design rather than simply fashion and technology. Read Web Style Guide. This bundle consists of 3 ebooks, all about the agile UX process. Read about the best practices for user research, prototyping, iteration, usability testing, documentation, and more. Read The Agile UX Best Practices. Anyone who’s serious about designing interfaces should have this book on their shelf for reference. Read Designing Interfaces. This practical guide teaches you the core principles for designing effective mobile user interfaces, and helps you get started by providing more than 40 proven UI patterns for mobile websites and applications. Read Designing Mobile Interfaces. A focus on accessibility during the entire user-centered design process. Read Integrating Accessibility Throughout Design. Turn believers into buyers and maximize your website’s ROI. 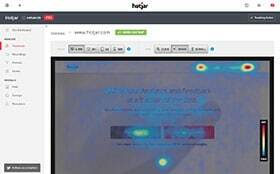 Learn how to use analytics, usability and testing to systematically improve online sales. Read Coverting the Believers. This report is based on 8 series of usability studies with users in 4 countries reporting how they actually used a broad variety of websites and apps on a range of mobile devices, including touch phones and smartphones from many vendors. Read Task-Centered User Interface Design. After reading this 40-page fable, you’ll understand the framework of user-centred design and know how to apply it to your own design project. Read User Centered Design. Have you noticed how UX and consumer products or services are quickly becoming intertwined, basically the same thing? This ebook will provide you with a framework for how to create and utilize an experience design framework in your organization. Read Six Circles. 42 UX masterminds tell personal stories of their exciting lives as User Experience professionals. Read UX Storytellers. Basecamp, formerly known as 27 Signals, created a great ebook, consisting of 16 chapters and 91 essays. Really worth your time. Read Getting Real. Author Mark Boulton takes an approach that includes researching the usage of the site, understanding typography, utilizing color for navigation as well as presentation and creating a usable and satisfying layout. Read Designing for the Web. Maybe you have already heard about Mailchimp? Then you might have heard that Mailchimp is pretty serious when it comes down to UX. This free ebook is a collection of the most popular articles from their UX Newsletter, along with some exclusive content. Read The UX Reader. Whether you’re just starting out in usability, or a long time veteran, you no doubt face the same hurdle of where to find and recruit good usability participants. This free eBook will show you how. Read How to Recruit Participants for Usability Studies. Seth Grodin is the guru of market, just like Jakob Nielsen is to usability. Although published way back in 2005, it’s still an interesting read! Read An Incomplete Guide to Building a Web Site that Works. Research issues about what the user of software knows. Read Mental Models in Human-Computer Interaction. In 9 chapters, they cover the following topics: conducting user interviews, design thinking, interaction design, mobile UX design, usability, UX research, and many more! Read The Basics of User Experience. Editorial note: I have also collected some free ebooks about Usability. Are ebooks not your cup of tea and you prefer to smell real paper, then maybe you can have a look at my UX book collection. …and if you like these you’ll LOVE this list! Nice list. I’ve added some to my reading list. Hi Wouter, thanks for letting us know. 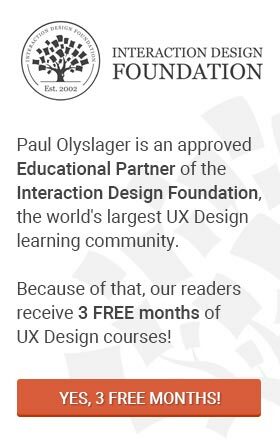 In addition I have found another free e-book called “Six Circles – An Experience Design Framework”, which you can download on the website of UX Magazine. I haven’t read it but it looks promising! Thanks for compiling this list of UX ebooks that are – FREE! A few of these were on my “to buy” list. As we’re working to build our application, many of these ebooks will become super-helpful, so we’re not stuck with a bad user experience. Thanks! You’re welcome. Good to hear that these ebooks will do some good to your application. Best of luck with the build. Nice read. Loved your blog. Thanks for sharing this, downloaded a couple of them. Hey, I am new to UX. Any tips which book to read first? And second? To give you an idea of some of the best books out there, you can have a look at my UX Book Collection. To answer your specific question, it really depends on what you are looking for. For a great introduction, you can’t go wrong with ‘Don’t make me Think‘ by Steve Krug. If you are looking for something more practical, go for ‘Undercover User Experience Design‘ by Cennyd Bowles and James Box. When you’re interested in a bit of both, including processes and guidelines, you could go for ‘The UX Book‘, a comprehensive textbook. I hope this will make your decision a bit easier! Enjoy the reading! i wand ui ux book any books are there pls refer………. If you are looking for ebooks, I can recommend my post titled ‘Free Ebooks about Usability‘. If you are looking for other books, you might want to have a look at my book collection on UX. I sure you will find something to your liking. any zip/tar with all included?